I find the Shinki cradles somewhat adorable, as I would like to get one I find it absurd that they are just as expensive as it would be to buy another Shinki. Which begs the question, why? What do the cradles do that make them so expensive? I noticed they have a usb cable but I haven't found a description of functions. It is just a LED USB lamp... SO make your own it will be the most FUN and cheapest option. 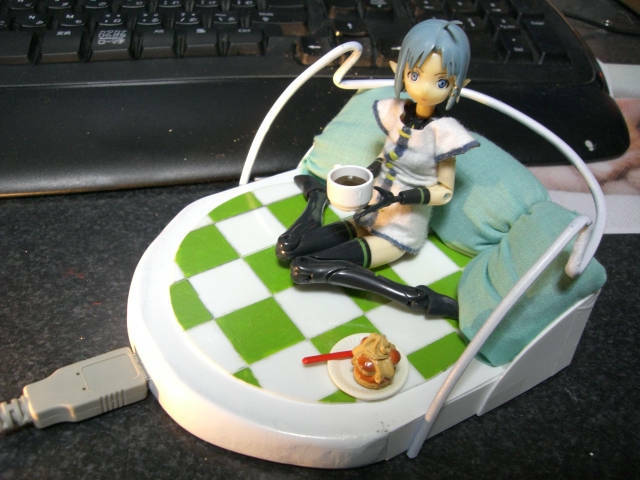 There is an custom Shinki Cradle at FG-site.jp but it will take my time to find it again. Prospect wrote: What do the cradles do that make them so expensive? I'm more surprised no one's made a papercraft version of it. Someone should get on that. Do you have a template available to upload? Although I was expecting a usb drive with writable space on it. know I will be looking at in detail regularly.